Murray Seafield Saint George Head (born March 5, 1946) is a British actor and singer. He was born in London, his parents being Seafield Head, a documentary-maker, and Helen Shingler, an actress. His younger brother is Buffy the Vampire Slayer and Little Britain star Anthony Stewart Head. Head began acting and writing songs as a child, and by the mid-1960s had a London recording contract. He had limited success until selected by Tim Rice and Andrew Lloyd Webber to play Judas Iscariot on the original album version of Jesus Christ Superstar. He was born in London, his parents being Seafield Head, a documentary-maker, and Helen Shingler, an actress. His younger brother is Buffy the Vampire Slayer and Little Britain star Anthony Stewart Head. Head began acting and writing songs as a child, and by the mid-1960s had a London recording contract. He had limited success until selected by Tim Rice and Andrew Lloyd Webber to play Judas Iscariot on the original album version of Jesus Christ Superstar. At around the same time he won a leading role in the Oscar-winning Sunday Bloody Sunday (1971), alongside Peter Finch and Glenda Jackson. Despite these successes, he received little public attention in the next ten years (save for Say It Ain't So Joe from 1975), reappearing in the spotlight in 1984 as the star of the musical, Chess. The song "One Night In Bangkok", from Chess, featuring Head on lead vocal, became a radio hit. 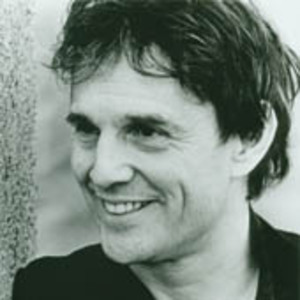 After his 1984 hit "One Night In Bangkok", Murray Head has had little attention internationally. Fluent in French, he has released some albums in that language. Noticeably, the song "Une femme un homme", a duet with Marie Carmen released in 1993 became a radio hit in French speaking Canada. Some of his most recent work was in Luc Plamondon's musical comedy "Cindy" where he played Cindy's father.